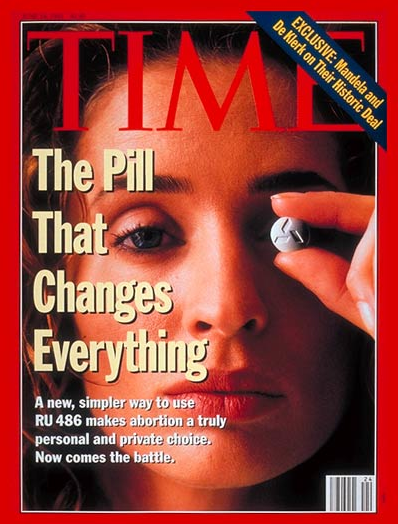 When the pill was introduced in the United States, it was heralded as a product that would incite a “social revolution.” Advocates noted how it would allow women to have abortions in the privacy of their own homes. They opined that it would allow women to avoid clinics that were surrounded by anti-abortion protestors and how doctors who never performed abortions would come out of the woodwork because it was much easier than a surgical abortion. Within the world of the abortion providers, there actually was fear that with all of these new doctors, they would be put out of business. Things didn’t necessarily work out that way. The first thing that happened was that the company that made the pill decided to charge a lot of money for it. That meant that the clinics had to charge women a lot as well and the price was usually more than a surgical abortion. Then, women quickly discovered that it was not as simple as just popping one pill. It was actually a few pills and, thus, a few visits to the clinic. Finally, there was the fact that having an “abortion” at home was not necessarily the right thing for some women. That’s because there were some who, when they expelled the fetus in their toilet bowl, simply freaked out. While all they were seeing was blood and tissue, their imagination got the best of them. Thus, the clinics soon discovered that it took a little more counseling than a surgical abortion. New York Times. 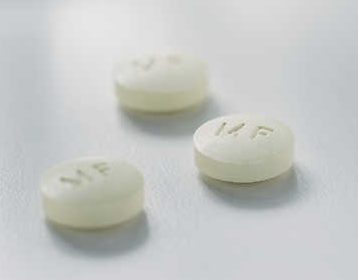 The abortion pill because just another option that some women could exercise. The numbers of women using the pill did not increase dramatically as some had predicted (or, as the investors wished). Recently, there has been a new development in the distribution of the pill. Some clinics are utilizing tele-medicine where a doctor off site counsels a woman on how to use the pill and, when done, the pill is given to her by clinic staff. This procedure is useful in areas where there are few abortion clinics. So, the pill has not necessarily lived up to the hype. But it’s still a good option for some women. Happy anniversary to the pill. I remember that article. I did not think much of it anyways and it wasn’t such a big deal anyway. Why would you want to have an abortion at home anyways? I never had one but if I did I would rather have it at the doctor’s office. You’re right, Jacky, you cannot get it over the counter. And, yes, a number of people do get it confused with the morning after pill. Maria, a number of women were excited about it because they thought it would be a way to avoid the clinics with all the protestors and they just didn’t want to have surgery. They still had to go to the doctor’s office, however, for counseling. on October 19, 2010 at 3:00 pm | Reply Melissa G.
Good post. I sure recall that. I am not a doctor. You need to go to your GYN or, if you do not have one, make an appointment at a local reproductive health facility. The clinics listed on http://www.abortion.com provide many kinds of services, including abortion. You need to contact them and they will objectively talk to you. Is there any consequences for taking this pill? I don’t mean moral, i don’t care about that, i just want to know what kind of symptoms will one have it. Angelica: women react differently to the pill. The best thing I can do is suggest that you talk to your local clinic and ask them their opinion….